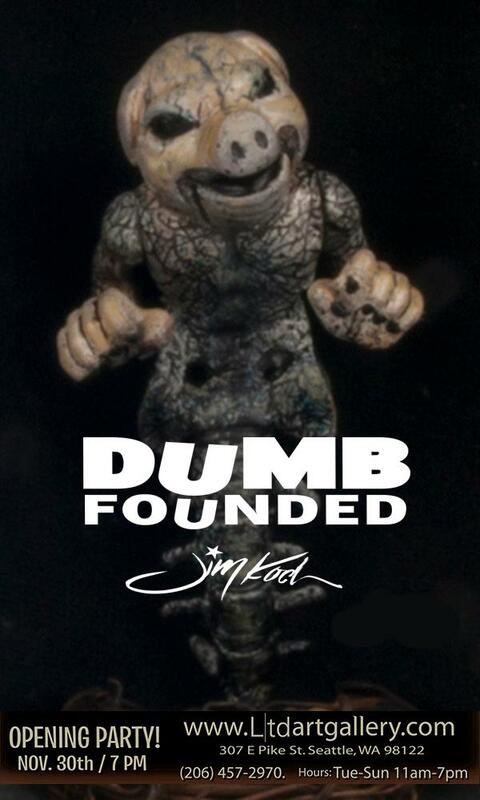 Artist Jim Koch has an upcoming art show at Seattle’s Ltd. Art Gallery titled “Dumb Founded,” which will feature his animated paintings, prints and custom toy designs. 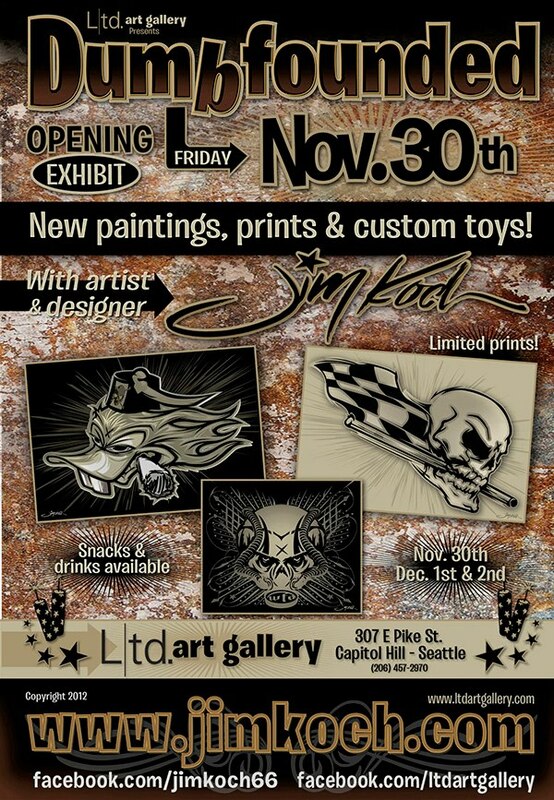 At the opening event on Friday, November 30, 2012 (7 pm to 9 pm), Jim’s exclusive products and prints, which are inspired by hot rod culture and toys, will be available for purchase. The show runs for three days: November 30, December 1 and 2, 2012. 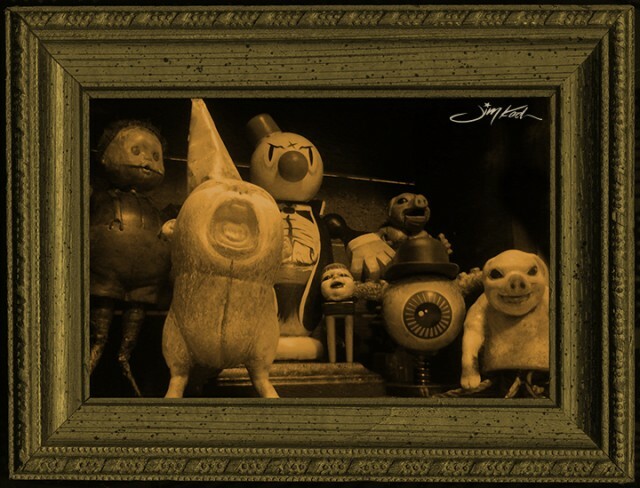 Jim is also a fantastic designer at Archie McPhee and was behind the design of one of my favorite items of theirs, the Slicey the Dashboard Pig Wiggler.